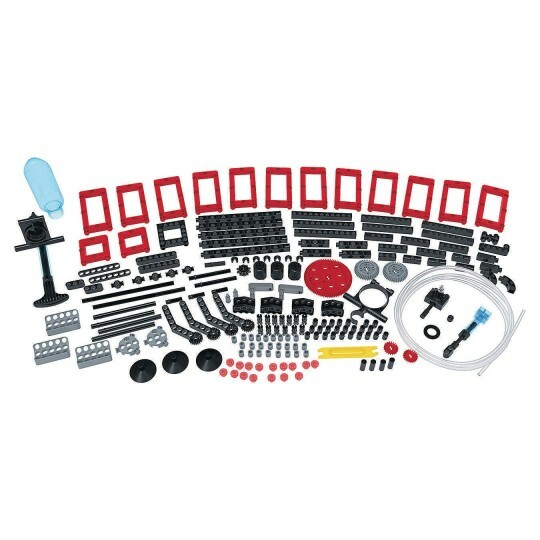 Learn how robotic machines perform! Build six mechanical models of the types of arms, grabber claws, and legs found on robotic machines. 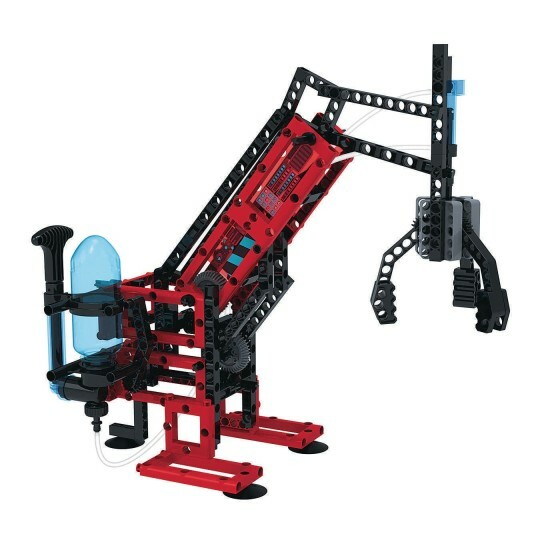 Explore mechanical engineering principles firsthand as you assemble and play with these working models. The models use a pneumatic system, which uses air pressure to activate the models. Pump up the air reservoir with the hand pump, then flick the switch to operate the model: A pneumatic piston enables the grabber claws to open and close rapidly and to grip objects with enough force to lift them. The piston can also move the arms and legs on models back and forth, demonstrating how robotic limbs move. 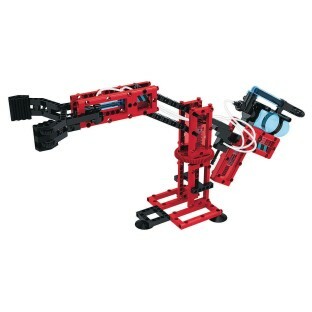 Construct a pivoting robotic laboratory arm with gripper claw. 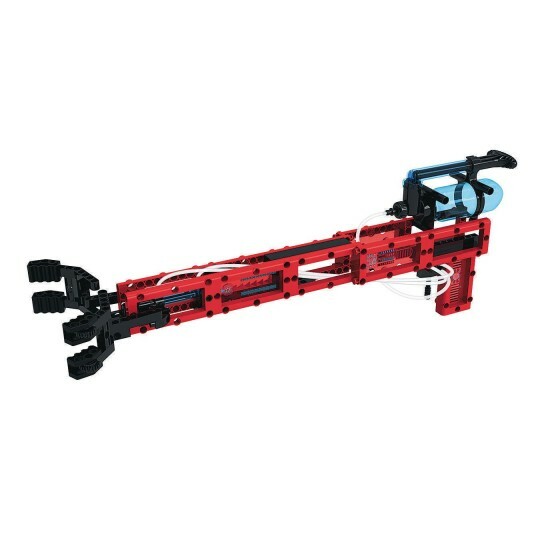 Assemble an extra long grabber claw to pick up things that are just out of reach. Build a vertical three-fingered claw that can lift a cup up off the table keeping it level. 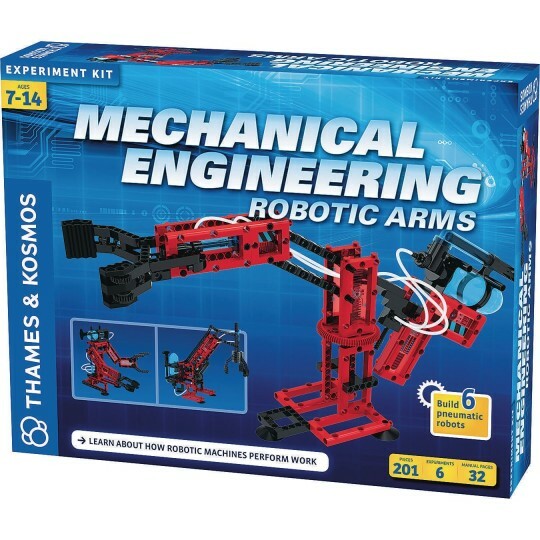 Experiment with models of robotic exoskeleton arms and legs. Make a compact grabber claw that you can slip into your shirtsleeve to pretend you have a robotic hand. Learn how pneumatic and hydraulic systems are used in industrial robots to enable the robots to manipulate heavy objects, such as automobile components. A 32-page, full-color manual guides you through model building with step-by-step illustrated instructions.